There has been an increase in the sale of iPhones. In this, Battleship game for iPhone has emerged as one of those iPhone games which many users have been looking forward to playing. With its wide popularity, Battleship is more easy and enjoyable when you play it on your IPods through the touch feature. The game is more preferred due to its introduction of new weapons with unique powers, another successful creation by Electronic Arts. The battleship iPhone game, as is widely known, involves finding the enemy ships and sinking them with the help of a Salvo. The faster you sink the ships down, the faster you move up and this is just one of the motivating factors in the game. As you proceed through the game there are many achievements and super weapons that you will get to unlock which makes it more interesting. Some of these weapons are only for one time use and need to be used intelligently and wisely. On the other hand there are also weapons that are available over a time span and these should used as much as possible within the given time. There are two modes that you can choose from – the salvo mode and the super weapons mode. In the salvo mode you really have to be fast. This mode works on the number of ships that you sink to gain a real upper hand over the enemy. In the super weapons mode you get to choose a variety of weapons including mines and missiles even before you start the war. You can also play this great ipod touch game via Wi-Fi or Bluetooth through the multi player options. In overall, Battleship is a wonderful game but one feature that brings it down is the way the AI places its ships- which become very predictable as you go up the levels and forces one to lose interest in the game. But otherwise the game promises a lot of entertainment. 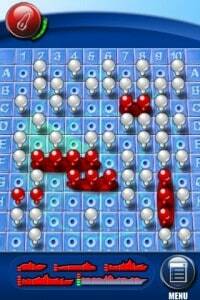 Check it Out this BattleShip game Here!